Welcome to the June 2014 round up. Some interesting and contrasting developments, on the Essex bus and passenger rail scene. The first New Routemasters to appear in metropolitan Essex, (as opposed to the East London postcode area) are being used by Stagecoach East London on the N8 from central London to Hainault. During the day, they only work as far east as Old Ford. It will be interesting to see what other East End TfL routes receive ‘Borismasters’. At the other end of the ‘Busmopolitan’ patch, Harwich depot of First Essex completely ceased, after arrival of the last bus on 28th June. The premises at Harwich bus station had been an outstation since 1/12/2013, when the garage building was locked; leaving access only for staff facilities and the buses parking on the forecourt. The depot was opened in 1974, to replace the pevious site at Kingsway, Dovercourt – hence the ‘DT’ garage code. The Kingsway building was converted into a public library, a role which it still serves today. And, on the northern fringe of ‘Busmopolitan’ land, Stagecoach has relaunched its Haverhill-Cambridge service 13, under the premium ‘Gold’ brand. On the railway front, the National Express Group franchise for c2c has been extended for 15 years. 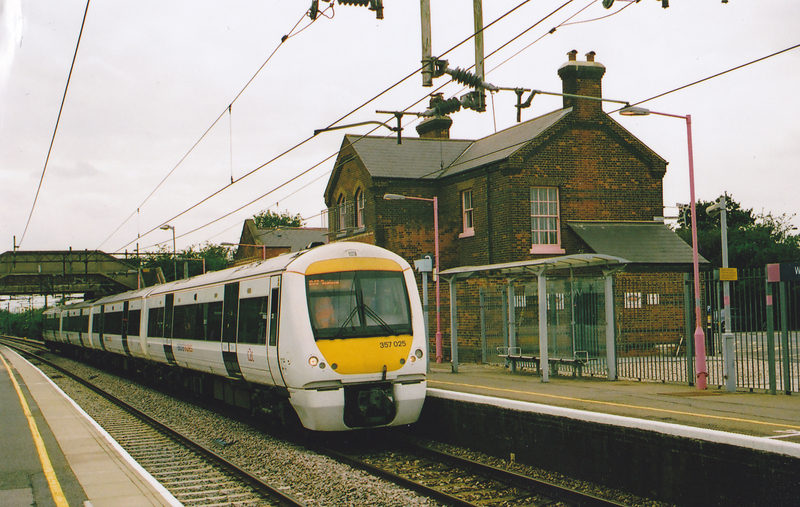 Once dubbed ‘The Misery Line’, the London to Shoeburyness route has now become one of the most efficient rail networks in the UK. And the London Undergound C Stock has finally bowed out, after nearly 40 years service. The Hammersmith and City won’t feel the same without them. Class 315s are now starting to lose their old style ‘Greater Anglia’ branding, (repaints excepted). Recent repaints into white have been of 315807/20/44/52/4. Above: Abellio Greater Anglia hires some locos from Direct Rail Services, mainly for use as ‘Thunderbirds’; rescuing failed passenger trains. 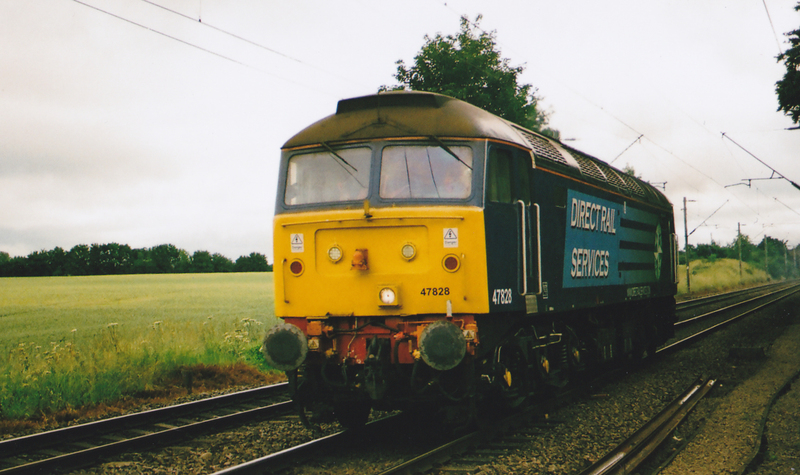 47828 was pictured running light on the “up” line past Church Lane level crossing, Kelvedon in June 2014. This loco had previously been with Cotswold Rail. Has ceased pcv operations, but still runs taxis. On hire from Ensign, for use by Ambus is plain white Dart SLF/Pointer KP02 PVN. Reinstated is DAF SB/VH G382 RCW. Vehicles are no longer named. 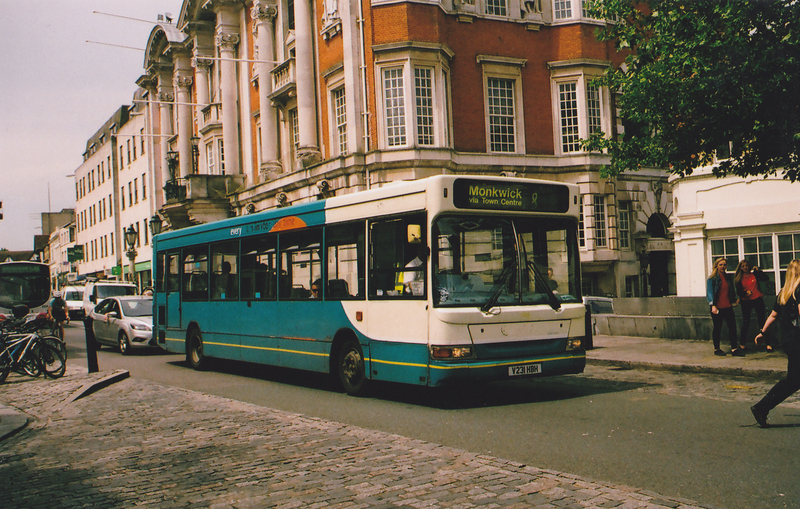 On loan from Arriva Medway Towns is Dennis Dart SLF/Plaxton Super Pointer 3191 (P191 LKJ). Optare Versa 4228 (KX62 JTV) was also loaned from Arriva Medway Towns, for a few days in early June. 3502 (KE51 PUA) is the last of the ex TfL DAF SB120/Wright Cadets to arrive at Southend on Sea. It had previously been used from Grays and has been refurbished to “provincial spec”. Withdrawn is Dart SLF/Plaxton Pointer 3323 (T823 NMJ). 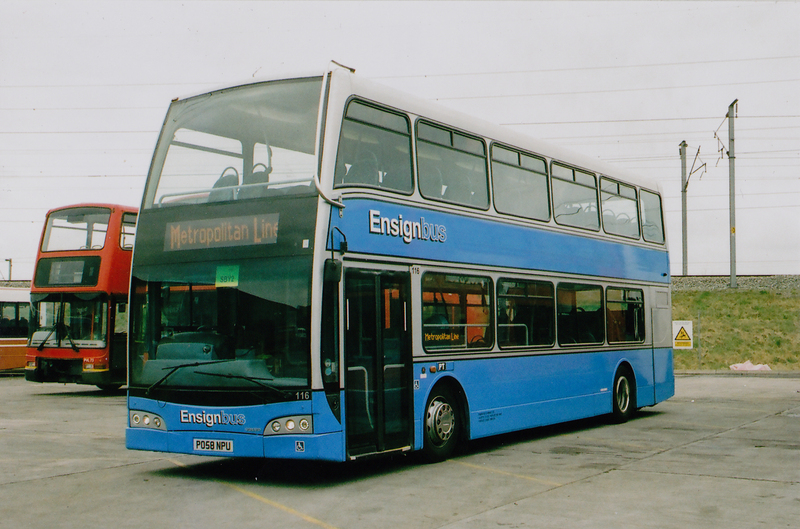 Resold via Ensign are Volvo Olympian/NCs 5935 (P935 MKL) – to Mc Clean, Ballyclare, Northern Ireland and 5396 (P936 MKL) – to Buses Etc, Merstham. Above: Arriva DAF SB120/Wright Cadet 4504 at Southend Travel Centre in December 2013. New Routemaster LT176 (LTZ 1176), was badly damaged in a collision at Clapton on 4/6/14; while working TfL N38 from Victoria to Walthamstow. It will be repaired. All the LTs for the 38 conversion had entered traffic by the end of June. Sold to Ensign are open top Leyland Olympian/Alexander RHs OA321/3 (J321/3 BSH). Ex RATP London United Volvo B7TL/Alexander ALX400 W122 EON is now here. Received from London General are DAF SB120/Wright Cadets DW11, 12 (LF52 TKN/A) respectively. 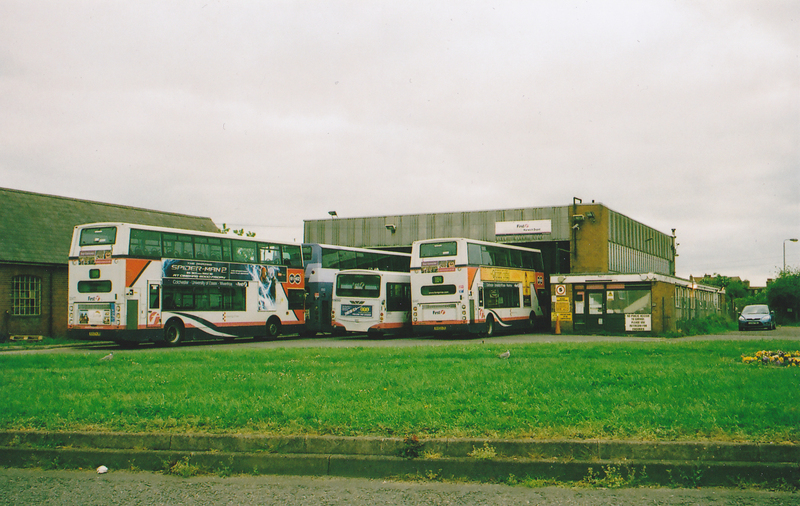 The ex Metrobus Scania N230UD/Optare Olympus are 872-96. 878 is on loan to Docklands in exchange for 870/1. These, along with ex First ADL/Enviro 400s EN25-7 have replaced PVNs and WVLs. Sold to Ensign are PVN class ex First Volvo B7TL/Plaxton Presidents PVN7-16 (LK03 NHY/Z, NJE/F/J/N/V/X/Y/Z). PVN7 and 13 were quckly resold to Stanley Travel of Oxhill, County Durham. Blue Triangle ex London General Volvo B7TL/Wright Gemini WVL91, lays over at Brentwood High Street in June 2013, shortly after Go-Ahead took over TfL 498 (Romford-Brentwood) from First. Operator National Express has had this rail franchise extended for another 15 years. The £1 billion deal includes 17 new trains and improvements to stations. Above: C2C ‘Electrostar’ 357025 calls at West Horndon, on a London Fenchurch Street to Shoeburyness service, in May 2014. From Barnett of West Drayton is K155 SBC, an Iveco Eurorider/Beaulas. Smaller arrivals, from Davian of Enfield are LDV Convoys BU02 XOY and ML02 NLY. Volvo B10M/Plaxton Premiere 2629 RU has been re-registered back to N906 AAS. Transferred from Blue Triangle are Dart SLF/Plaxton Pointer LDP194 (SN51 UAG) and Volvo B7TL/Wright Gemini WVL92 (LF52 ZND). One time B7TL/Presidents VP4-8 (X154/7/8/9 FBB), latterly with London Central – have passed to Ensign. Acquired for the Heritage fleet is former JMT Leyland PD1 J6332. Volvo B10A/Plaxton Expressliner 402 (P563 MSX) is reinstated. It has been in use on private charters. Heritage fleet Daimler Fleetline/Weymann open topper CRU 184C has passed to Romer of Bear Cross, Dorset. Above; Showing its ‘Buggybus’ branding, Ensignbus Dennis Dart SLF/Alexander ALX200 no 734, was pictured at Orsett in March 2013, on the now withdrawn X1 Basildon-Lakeside service. In the livery department, most of the low floor double deckers are now in the latest scheme which consists of the classic blue and silver base colours, with changes to the sign writing. 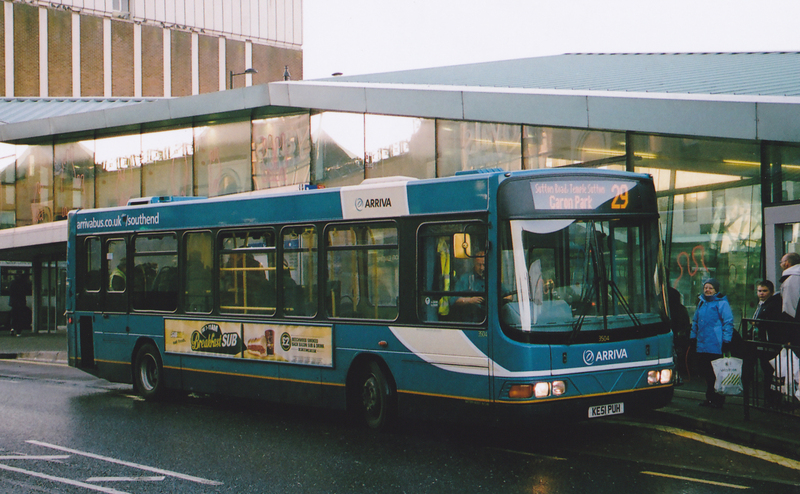 The revised layout no longer shows the website address below the main fleet names, and at the front, the ‘Buggybus’ branding has been replaced by an ‘Ensignbus’ title. Those still in the old identity are Tridents 105/9/43/92/4 (V115 MEV, T87 KLD, X343 NNO, T192/4 CLO) – 194 is no longer a ‘Buggybus’; B9TL/Olympus 121 (PL08 YLZ). Step entrance Volvo Olympian/Alexander Royales 826/8 (WLT 916, WLT 428) also retain the older livery style. The Dart SLF/ALX200 saloons however, still mostly retain the ‘Buggybus’ decals on their front dashes. Above: Volvo B9TL/Optare Olympus no 116, in the revised Ensignbus livery, at Purfleet depot in March 2013. The ADL/Enviro 400s displaced by the closure of Dagenham, have now entered squadron service with First Leicester. On loan from First South Yorkshire are Volvo B10BLE/Wrights 60618/22 (R781/5 WKW), 62143 (R589 SBA). Above: Bluebird 68000 on staff shuttle duty at Braintree, in October 2013. Received from First Eastern Counties at Ipswich are Scania L94UB/Wright Solars 65690/1/2 (YS03 ZKK/L/M). ADL/Enviro 200s 44517/8/9 (YX09 ACY/Z, ADO) have gone in exchange. Also from Eastern Counties is Scania L113/Wright 65631 (V831 FSC). Ex First Hants and Dorset is Optare Solo 53008 (W808 PAF) – at Chelmsford (CF). Internal transfers have seen Dennis Trident/Plaxton Presidents 33001/2 (LK51 UZO/P) move from HH to BN, while Volvo B10BLE/Wright 66177/9 (W377/9 EOW) have gone on loan to CR from BN, and Scania L113/Wrights 60766/7 (N644 CVR, S667 RNA) have gone from BN to CF; with 60767 then loaned to CR; in the longer term Basildon will lose all of its B10BLEs. Bluebird crew ferry 68000 (Q275 LBA) is now at CF ex BE. On loan from CN to CR were SLF/Pointer 42937 and Scania L113/Wright 65538. SLF/Super Pointer 42918 is now at CN ex CF. Withdrawn are Volvo Olympian/NC 34014 (P554 EFL) and B10BLE 60766. 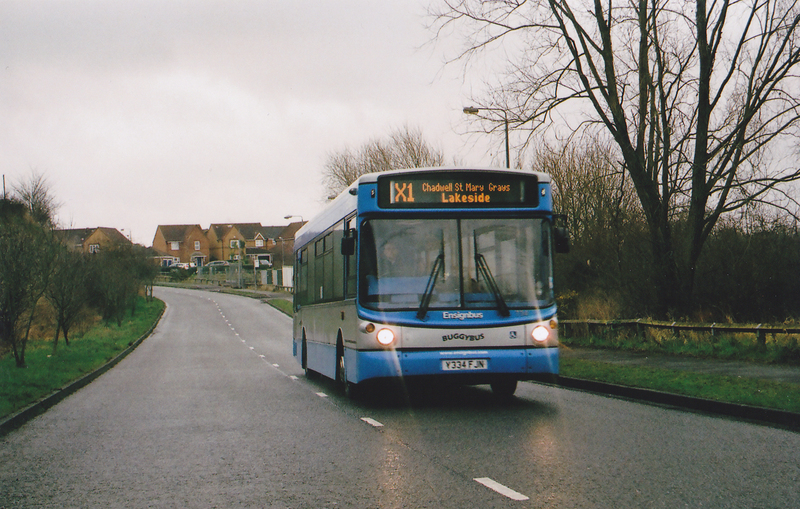 Developer sponsorship for Colchester local service 63 (St Michaels-Tuffnell Way) has ended, and the route is now run commercially. It has been extended at its southern end, from St Michaels to Roman Way. Evenings only 61C has ceased, and is now covered by the parallel 62 (North Station-Wivenhoe). Harwich outstation closed after 28/6/14, with its remaining work moving to Colchester or Clacton. Following this, there have been revisions to Harwich-Colchester 103/4 services, with them now doing a loop of Colchester town centre. 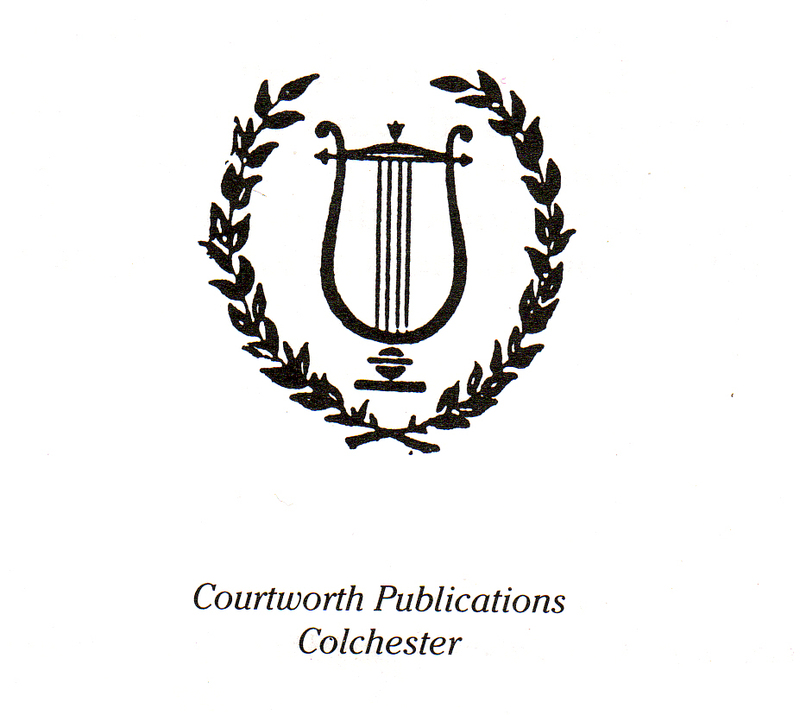 Additionally, there are now early morning/late night “positioning” journeys between Colchester and Harwich, registered as service 106 (Colchester-Harwich “direct” via Ipswich Road in Colchester and then along the A120). From 30/6/14, seasonal services began again around Clacton; 16 (Clacton-Bockings Elm) and 19 9Clacton-St Osyth Beach). They will run until 31st August. Above: First Essex Harwich site, in April 2014. 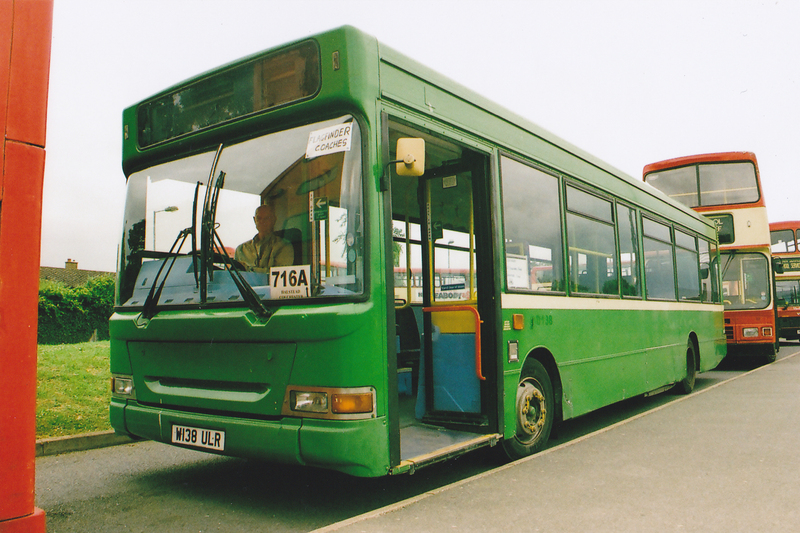 Ex Imperial SLF/Super Pointer W138 ULR has entered service from Halstead – still in green livery. Ex Coaches Etc Volvo Olympian J333 ETC has entered traffic from Braintree – still in white/turquoise. Above: Flagfinders SLF W138 ULR at Coggeshall in June 2014. New is YN14 FXX, a Scania K400EB6 with double deck VDL coachwork. National Express Volvo B9R/Caetano Levante 300 (FJ61 EVN), has a super rear advert for the Latitude Festival. Ex Konect is Trident/EL 726 (W826 NNJ). It was pictured (above right) at Tollesbury on 24/6/14. Volvo Olympian/Alexander RH 85 (M282 UKN) has moved from CN to TY. Volvo B10BLE/Wright 485 (R232 HCD) has transferred from TY to CN, and was subsequently delicensed. Leyland Olympian/Alexander RL 61 (K508 ESS) is withdrawn. 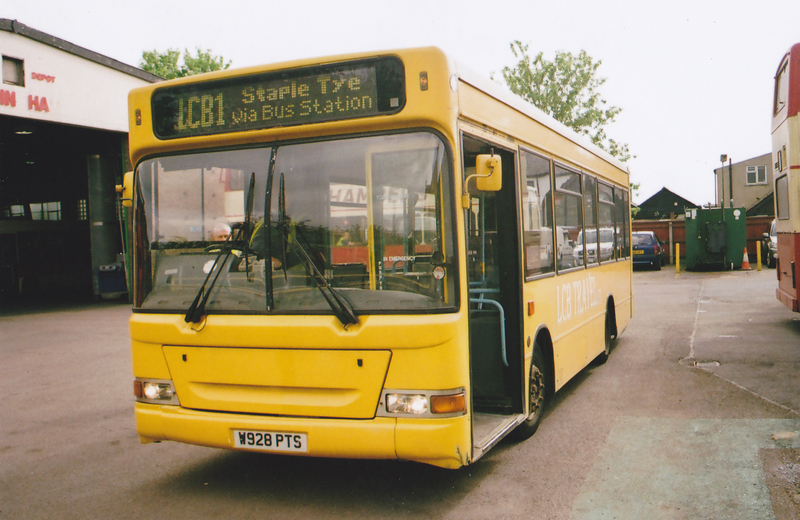 Also withdrawn, due to mechanical failure, is Dennis Dart/Plaxton Mini Pointer 286 (X346 YGU). “Short” Dennis Dart SLF/Alexander ALX200 280 (Y347 FJN), is now with Freedom Travel of Ely, via Panther Travel (as dealer). Privately owned Leyland National YEV 307S, which had been stored in Tollesbury depot, has moved onto pastures new. Above: Leyland Olympian 61 leaves Kelvedon depot for the last time, on 17/6/14. Setra S415 T50 KCL now has branding for Essex County Cricket Club. It is reported that commercial services LCB1 and LCB2 are only operating erratically. New is S7 Stock unit 21427/8. The last C Stock train ran on 3/6/14. Duty 074 , formed of 5517 + 5533 + 5592 departed Wimbledon for Edgware Road at 0905, arriving at 0930. It then ran light to Neasden depot. On 29/6/14, 5531 + 5578 + 5721 worked the ‘C Stock Classic Tour’. This took in all of the C stock’s old haunts. C stock withdrawn are C69s 5517 + 6517; 5522 + 6522; 5524 + 6524; 5529 + 6529; 5531 + 6531; 5533 + 6533; 5545 + 6545; 5549 + 6549; 5552 + 6552; 5555 + 6555; 5578 + 6578; 5592 + 6592; 5594 + 6594. (5522 + 6522 were part of the first C stock train to enter public service on 28/9/1970 – with previously withdrawn 5523 + 6523). And C77s 5720 + 6720; 5721 + 6721; 5726 + 6726; 5733 + 6733. 5721 has been earmarked for the London Transport Museum collection at Acton. Above: C69 unit 5532, in ‘Back The Bid for London 2012’ livery, forms the rear of a clockwise Circle Line service, at Victoria in March 2005. Mercedes 0814D/Plaxton Beaver accessible bus SF55 FVP, has passed to Welham Travel of Welwyn Garden City. From 2/6/14, ‘SxConnect’ route 133 (Colchester-Stansted Airport) ceased to be sponsored by BAA and became a commercial venture. The frequency was also reduced from hourly to every 2 hours. Back on loan from Network Harlow is SLF/Plaxton Pointer 1555 (V231 HBH). Above: SLF 1555 at Colchester High Street, in June 2014. 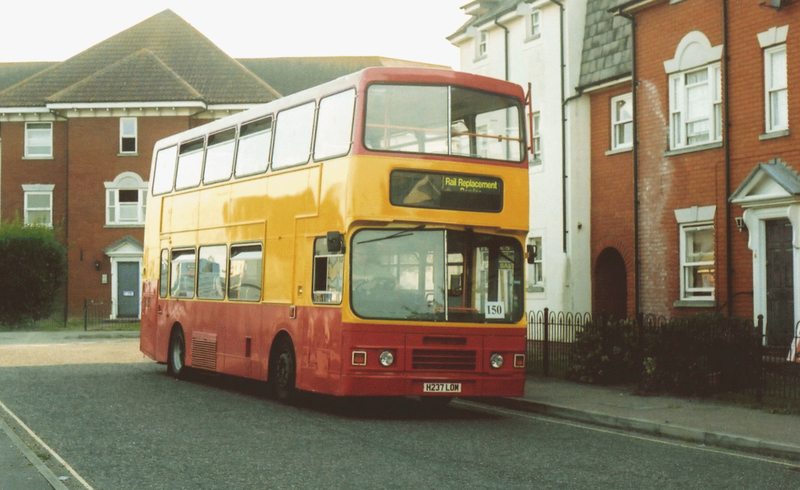 The TGM Stansted local bus operations, now come under Network Harlow. 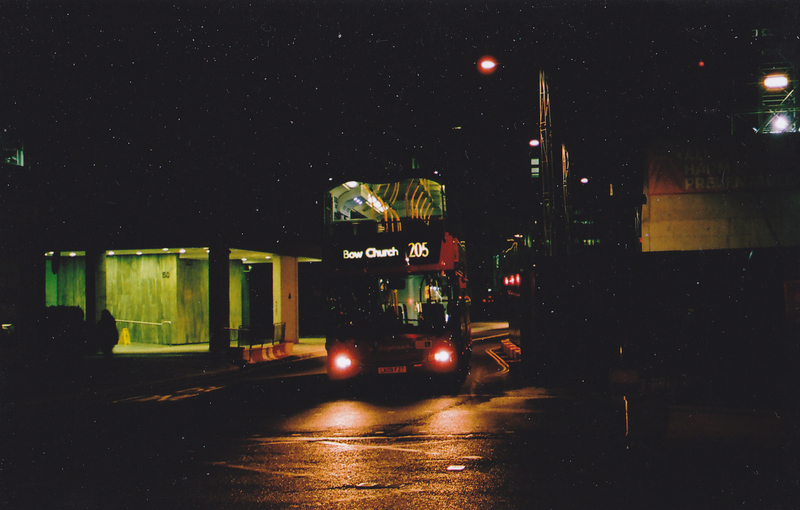 Now provides a student shuttle bus, between the University of Essex, and the halls of residence at Greenstead. Withdrawn are Scania N113/Alexander RHs H229/45 LOM. 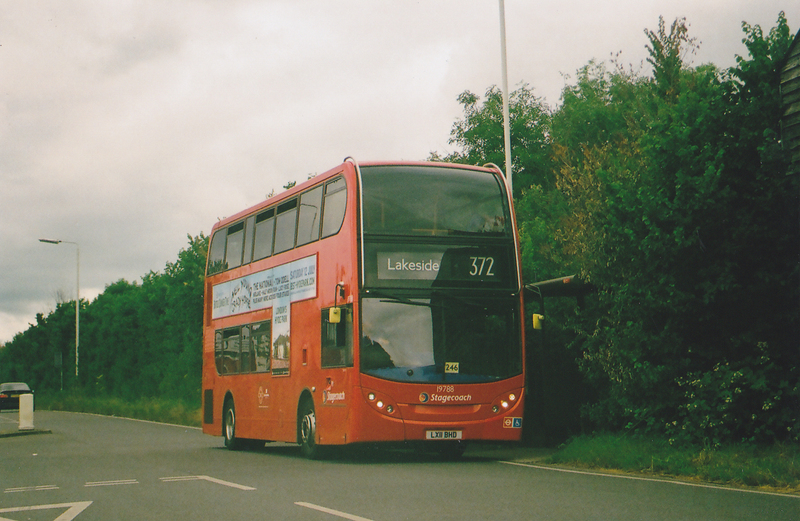 Above: NIBS Scania N113 H237 LOM, on National Express rail replacement at Southminster in August 2007. Withdrawn is Dart SLF/Plaxton Pointer S117 EGK. Acquisitions are all Leyland Olympian J114 KCW, from White Rose of Castleford, West Yorks and Volvo B12T/Plaxton coach SF07 YTP – from Shaw of Canforth, Lancs. Volvo B10M/Plaxton coach Y5 TRU was on loan to Regal Busways in late June. Similar T2 TRU has been sold to Whincop of Peasenhall, Suffolk. Volvo B10M/Plaxton Paramount G737 REG is stored. Acquired via Ensign are ex Metroline Dart SLF/Super Pointers KP02 PVD, PUH. They are plain white. 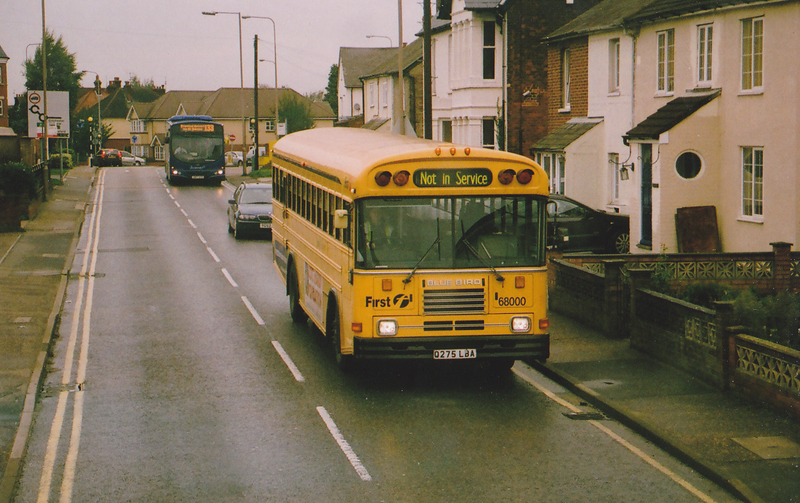 From 30/6/14, service 553 (Basildon-Ramsden Heath) was extended to/from The Mayflower School at Billericay, on schooldays. YN05 WJO is a Scania K114EB4/Irizar PB, ex Lowe of Hucknall, but new to National Express. Services 13/A/X (Cambridge-Haverhill) were relaunched as ‘Stagecoach Gold’ from 1/6/14. Scania N230UD/Enviro 400s 19950-60 (YN14 OXA-H/J-L) are used, and 6 Tridents have been displaced from Cambridge to Bedford, as a result. The Goldline E400s also appear on 16A (Cambridge-Thurlow). 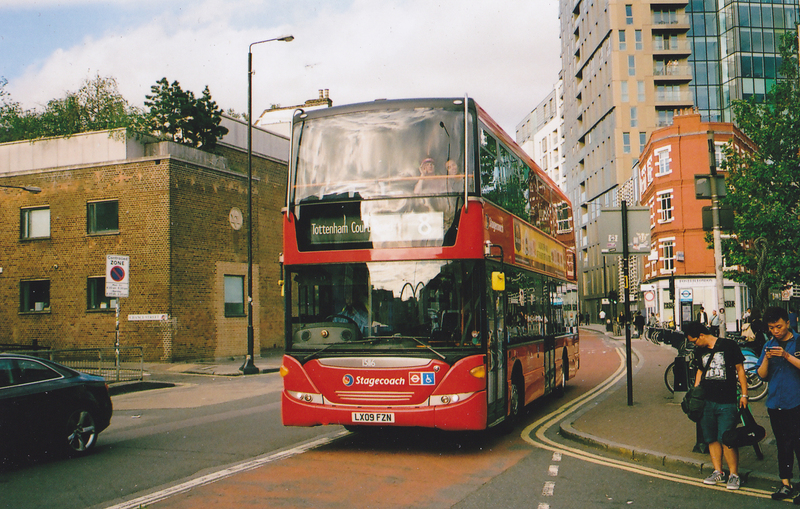 Above: Just before New Routemasters began appearing on TfL8, Scania Omnicity 15116 was pictured at Shoreditch, in June 2014. Above: Prior to the hybrid conversion of TfL205; Scania Omnicity 15131 departs Paddington in May 2014. The ex Stagecoach Selkent Scania Omnicities have replaced Tridents on TfL262 (Stratford City-Galleons Reach) and TfL473 (Stratford-North Woolwich), from WH. More Omnicities received from Selkent are 15076/8/9/84/7/90-2 (LX09 AFA/F/J/V, AGO/Y/Z, AHA). Omnicity 15124 (LX09 FZW), has meanwhile gone to Selkent. The ex Selkent ADL/Enviro 400s have enabled TfL372 (Hornchurch-Lakeside) from RM, to go 100% double deck. Further ex Selkent ADL/Enviro 400s are 19831-3 (LX11 BMO/U, BKE). LTs are now being delivered for the conversion of TfL8 (Old Ford-Tottenham Court Road). They entered service w/c 15/6/14. Meanwhile, TfL205 (Bow Church-Paddingdon) is receiving new hybrid ADL/Enviro 40Hs to replace its Omnicities. New ‘Borismasters’ for TfL8 are LT239-270 (LTZ 1239-1270). They have Stagecoach “national” fleet nos 61239-70 “on paper”. LT253-5/68-70 are in overall adverts for Adidas. New ADL/E40Hs for TfL205 are 12304-14 (SN14 TXZ, TYA/B/C/D/F/G/H/K/O/P). Tridents displaced by the 8 conversion, were 17750/83/4/8/9 (LX03 BTE, BVV/W, BWB/C), 17879 – moved from BW to Leyton (T), and 18202/5/7-9/11/4/16-8/35 (LX04 FWM/R/T/U/V/Y, FXD/E/F, FYB) – which were delicensed. On 12/6/14, Trident 17563 (LV52 HDU) was destroyed by fire, while running light on the M11 northbound at Littlebury. It had been en route from West Ham to Glasgow, for the Commonwealth Games. Both this and 17568 (LV52 HEU) have gone for scrap. Transferred to Selkent are SLF/Pointer 34372 (LV52 HGK) and ADL/Enviro 200s 36338/9/41/2 (LX09 ACU/V/Z, ADO). 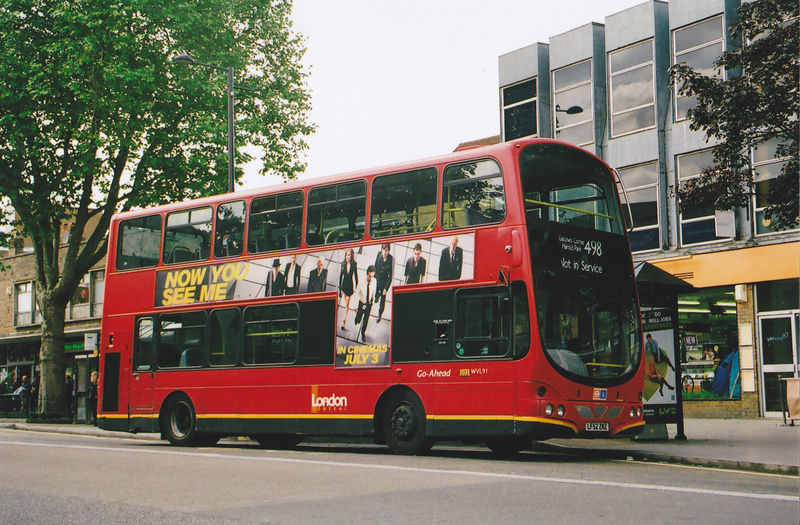 These moves were connected with the double deck conversion of TfL372. 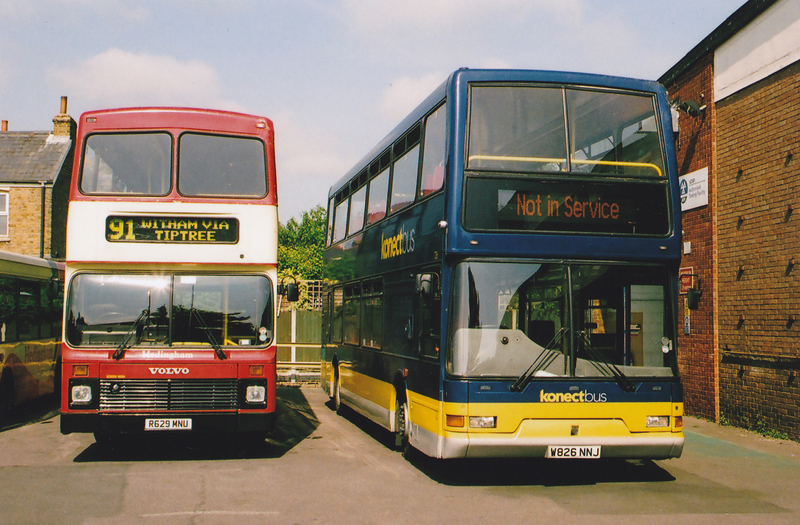 Trident 17404 (Y404 NHK) and SLF/Pointer 34362 (LV52 HKO), have been received from Selkent for storage. They are to become driver trainers. Trident 17102 (V102 MEV) has been cannibalised by Ensign and the remains gone for scrap, to Ripley of Carlton. Sister 17400 (Y514 NHK) remained stored at Ensign in 6/14. Transferred to Stagecoach Western (Scotland) are Tridents 17425/97, 17500/19/27 (LX51 FJZ, FMY, FNC/Y, FOK); 17535/49/50 (LY02 OAA/Z, OBB); 18201.11 (LX04 FWL/Y). Above: Stagecoach East London ADL/Enviro 400 19788, on 372 at Rainham in June, 2014. Leyland Olympian/Alexanders G706 TCD and J722 GAP, are now with North Somerset Coaches. 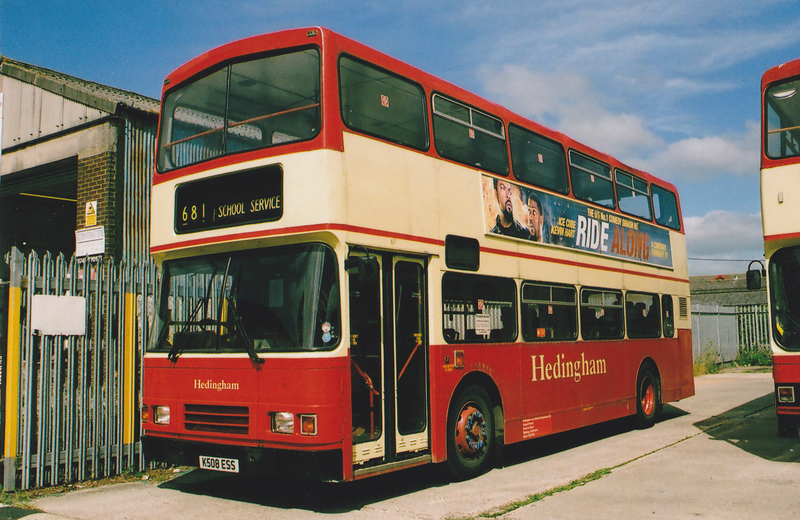 Olympian/NC 856 (H156 BKH) is now privately owned at Horncastle, Lincs. Olympian/Alexander RH 985 (K885 CSF) has passed to Pygall of Hutton Henry, County Durham, while 990 (K890 CSF0 is now a playbus in Shrewsbury. 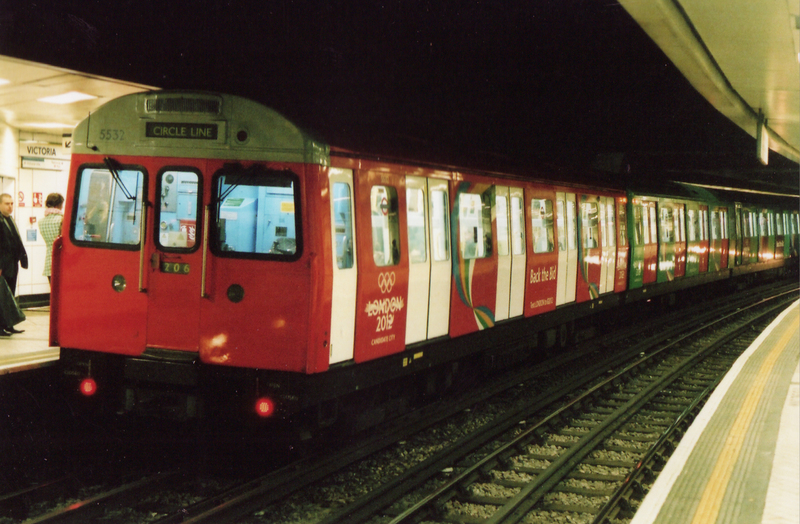 Olympian 953 (L953 MSC) is withdrawn. Above: Leyland Olympians are now a diminishing breed at Stephensons. 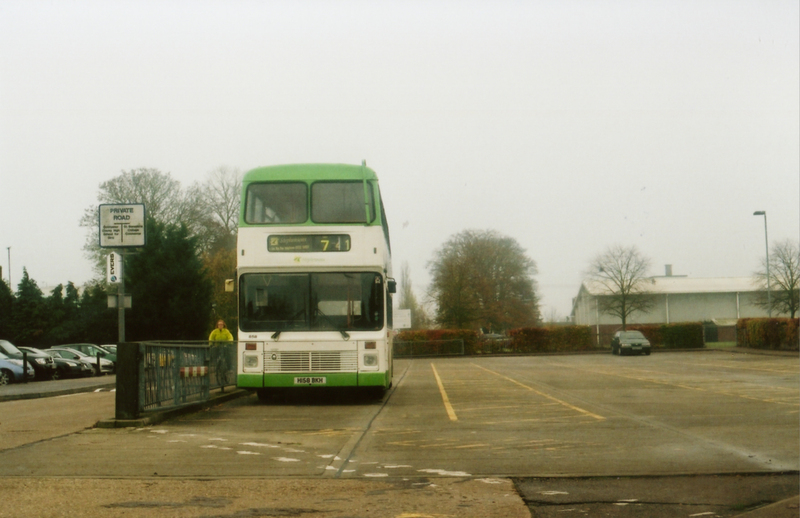 NC bodied former East Yorkshire no 958, was laying over at Norman Way, Colchester when pictured in November 2011. An interesting arrival is ESU 815X, a Bristol LHS/Plaxton Supreme midi coach; for continued preservation. Has applied for planning permission for a new depot at Enfield (Picketts Lock). This is for recent TfL tender gains, commencing March 2015. The new routes are 212 (Chingford-Walthamstow St James Street) – from CT Plus and 444 (Chingford-Turnpike Lane) – from Arriva London North. An interesting acquisition (via Ensign) is a former Enviro 300 test rig. 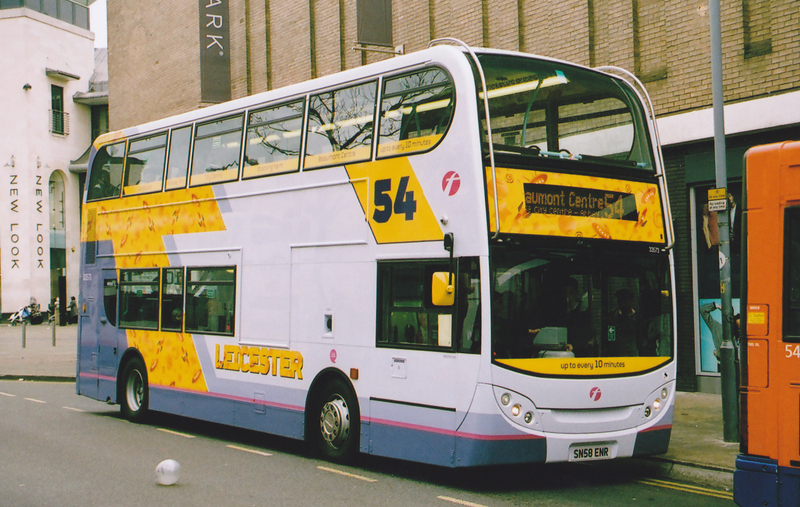 New in 2001, it was registered in 2008, as LY58 PFX. Also sourced via Ensign are ADL/E300 SN61CYY (ex Meteor Parking) and ex Proctors of Leeming Bar “short” ADL/E200 MX10 DXY. Ex Hansons of Stourbridge is ADL/Enviro 200 BX58 BFA. Sold to Ensign are Dart SLF/Pointers SNZ 3869/7259, RX51 FNU. Re-registered are SLF/Pointers T312/3 SMV, to SHZ 2046, SHZ 2691. Volvo B10M/Caetano NK51 ZSU is now RUI 9515.